Beautiful picture! 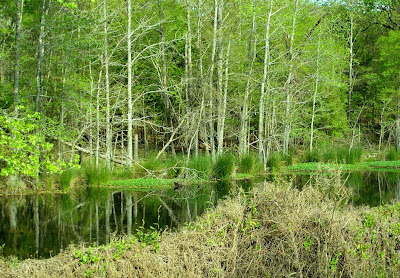 I loved the tree reflection on this pond!Great post! Wow! What a fantastic green photo! Nice discovery.